Our first brewery visit of 2014 was at Deep Ellum Brewing Company (DEBC) for their Thursday night tour and the night also represented our kickoff event. 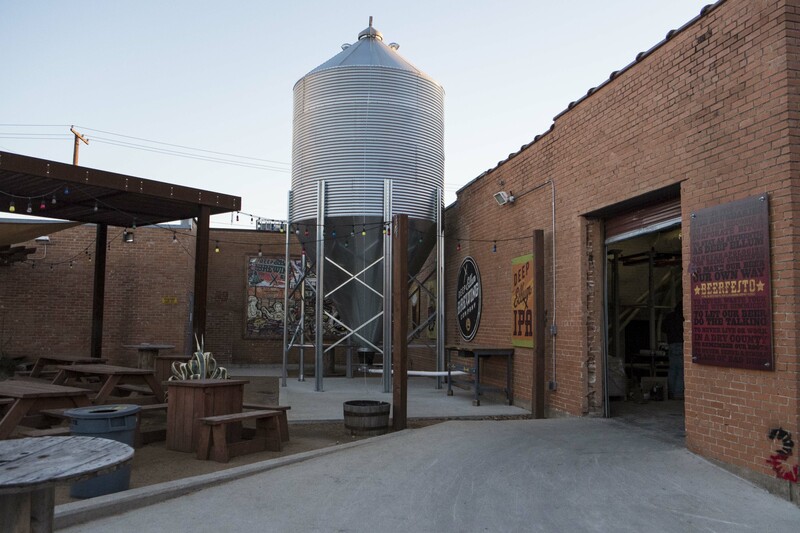 Located in the artistic Deep Ellum neighborhood of Dallas, DEBC was founded in 2011 and is the first brewery to open in the city during the modern craft beer boom. 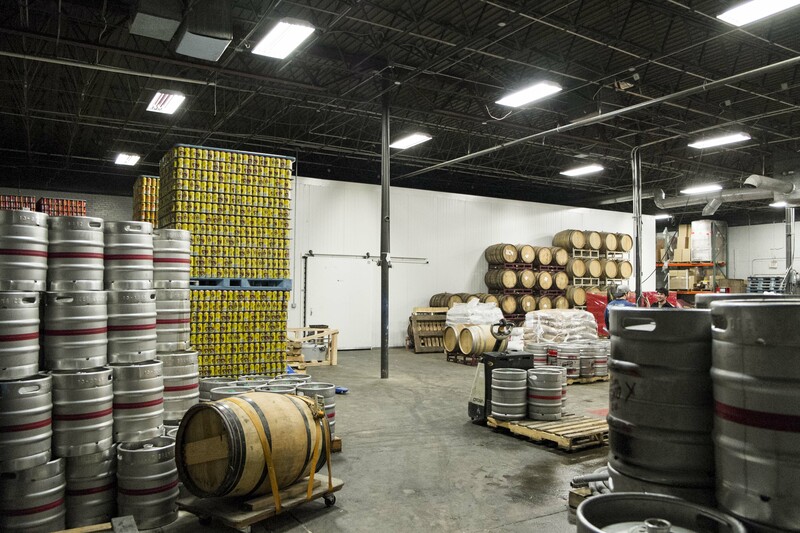 Over the past 2+ years, they have established a rebellious attitude true to the neighborhood in which they reside that is also reflected in their Beerfesto and employee titles. 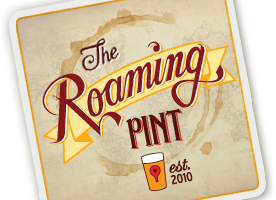 They currently provide four year-round beers – Deep Ellum IPA, Rye Pils, Double Brown Stout, and Dallas Blonde – as well as numerous ambitious seasonal offerings. 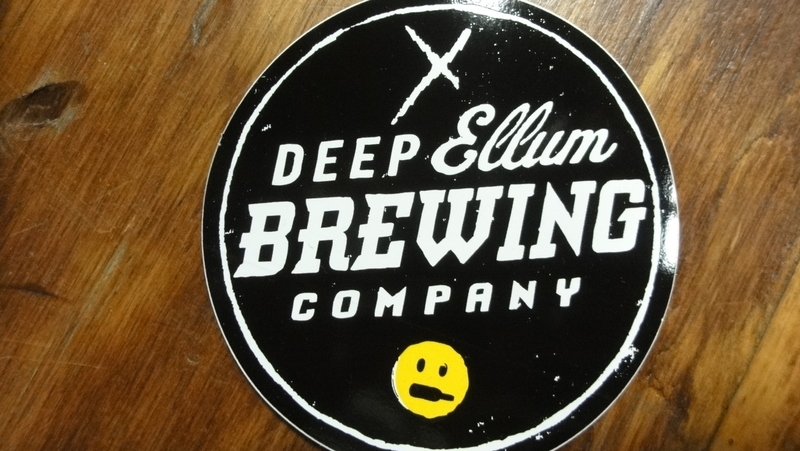 The Deep Ellum IPA is their flagship beer. Described as an ‘ode to the pacific northwest hop,’ pine and citrus notes are prevalent and it has proved a favorite local IPA at craft beer bars around the Dallas area. 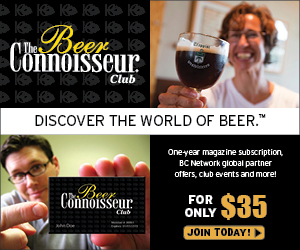 While long time craft beer consumers and home brewers, the two of us began our direct experience with a brewery at DEBC. We consider ourselves fortunate to have volunteered at the grand opening tour in December of 2011 as well as regularly at weekly tours and special events over the past two years. Much of the sense of community we experienced over a cold pint of craft beer can be attributed to our time at the brewery. John Reardon, Owner and Chief Evangelist, and Zack Fickey, Special Events Ninja, were kind enough to let us pour for all of their patrons on that cold night. As always, we had a great time talking about and suggesting DEBC offerings with customers while listening to some great live music. The brewery was packed with loyal DEBC fans who came to try some of the last kegs available of the 2012 Belgian IPA and fall seasonal, Gourdzilla– an English strong ale brewed with pumpkins, pecan wood smoked sweet potatoes, maple syrup and spices. The Gourdzilla represents the first release from newly acquired Head Brewer and Hop Whisperer, Jeremy Hunt. Another recent release in high demand is the Four Swords, a big Belgian-style quadruple from the mind of Hop Czar and Brewer, David Hauptman. 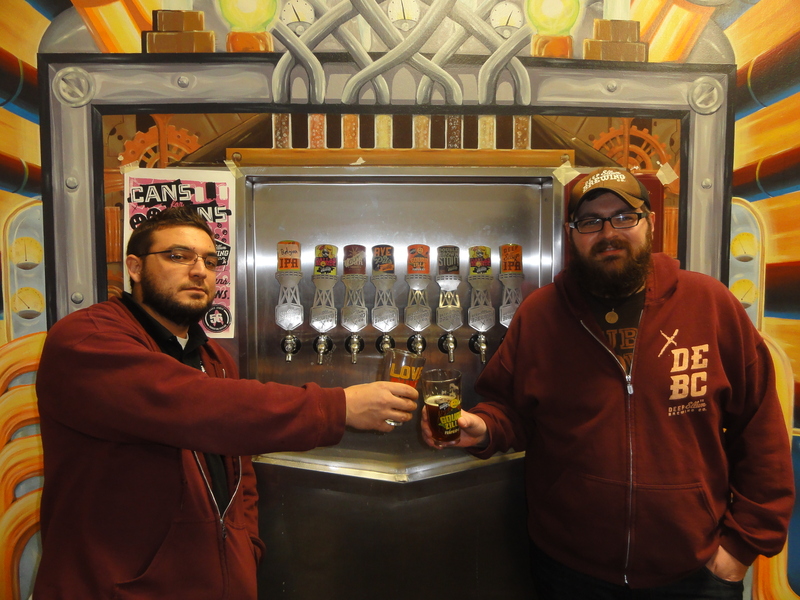 Deep Ellum Brewing Company also focuses on supporting the local community and giving back to charities. This past October, they started their Cans for Cans promotion for Breast Cancer Awareness Month. One dollar of each specially marked six pack sold was donated to the Bradie James Breast Cancer Foundation, Foundation 56. Labor of Love has been hosted at DEBC on Labor Day Weekend the previous two years and provides an excellent opportunity for homebrewers to compete, mingle, and share their creations with other craft beer enthusiasts. Tours are held every Thursday from 6-8:30pm and Saturday from 12-3pm. $10 gets you a souvenir pint glass and 3 beers of your choice, not to mention a fantastic atmosphere with a rotation of local live music and food trucks. Be sure to stop by the brewery whenever you are in town. It is always a party in Deep Ellum!